who have lived at one time or another in our town, Whitefield, Maine. newspapers - any source we can find. As you might guess this list will never be complete nor error free. It is simply a compilation tool. 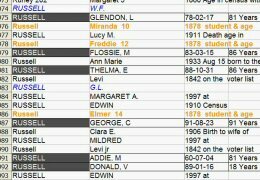 ( names(at)mainething.com ) and include any dates and brief data. This is a rather large document currently containing over 7,000 names.